The sun shines and the mountain peaks are covered by snow. It’s the start of the summer here in Argentina and we didn’t want to miss a single day. We’re in the Lake District in Patagonia, a place we’ve been wanting to explore for years. Patagonia is world-renowned as a prime destination for hiking, cycling, kayaking, fishing and any outdoor activity you can think of. As adventure junkies we want to do all that, but have to stick to just one adventure at a time. To start with “our list” we decided to go north and explore the area on two wheels. 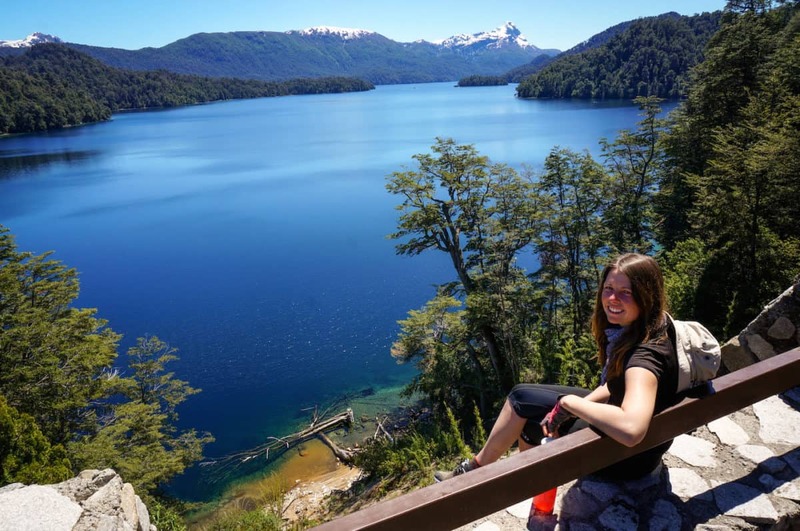 As we were coming from an amazing kayaking safari in Peninsula Valdes, we decided to leave some bags in Bariloche and do a 2-weeks loop exploring both the Argentinan and Chilean side of the Lake District. Having just the essential gear for cycling would allow us to fully enjoy the surroundings and take on those hills with a better mood! The route couldn’t start in a better way. A full day exploring the shores of the lake Nahuel Huapi took us through isolated spots where the locals try their luck at fly-fishing for trout and salmon in the shallow waters. 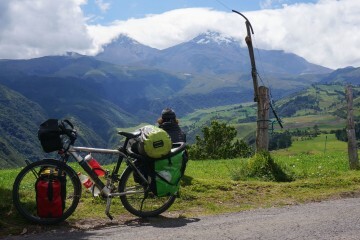 The snow capped peaks of the imposing Andes line in the background. This was just an introduction for what awaits ahead. Since the moment we left Villa La Angostura I knew we were in for a good ride. The “Ruta de los 7 Lagos” (Route of the 7 lakes) is one of the most popular places in Argentinian Patagonia and we can see why. 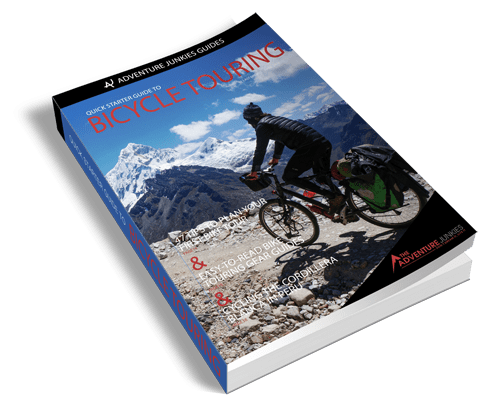 120 kms of road packed with superb mountain views, little traffic and terrific opportunities for camping make it a dream destination for bicycle tourers. As we get closer to the border, the scenery changes. We leave the lakes and snowy mountains behind and enter the Aracunía region. A huge peak guards the pass, it’s the Lanin volcano and will be in our view for two days as we cycle passed. We got a new stamp in our passport and enter into Chile. The scenery is similar but the feeling is different. This side is more developed and busy. The fences and houses made wild camping complicated, but the impressive views didn’t cease. The sky turned grey and rain set in for a few days so, we took shelter in the towns of Pucón and Puyehue. Patagonia not only has great scenery and camping opportunities, but also charming towns on the way where you can break your journey and relax for a few days. As we pass Puyehue lake our loop comes close to its end. We climb the Paso Cardenal Antonio Samore and we’re back to where we started, the town of Bariloche. What an amazing two weeks in one of the most picturesque areas of Patagonia. You’ll need to bring a tent with you as the towns along the route are sometimes far apart. It’s also possible to do this route camping every night. If you want a comfy bed and a dry place every few days, there are several towns where you can find accommodation options from simple rooms to full equipped cabañas. Some of them are really nice and are definitely worth the splurge. There aren’t many if any inexpensive options so, camping will be the way to go if you’re traveling on a small budget. There are many official campgrounds (that normally charge between 5 and 8 dollars per person), free camping areas (on the Argentina side) plus there are also beautiful opportunities for wild camping (easier in the National Park areas, although it’s forbidden in some places). If you are looking for good places to break the journey at, these are our favourite ones in every town. 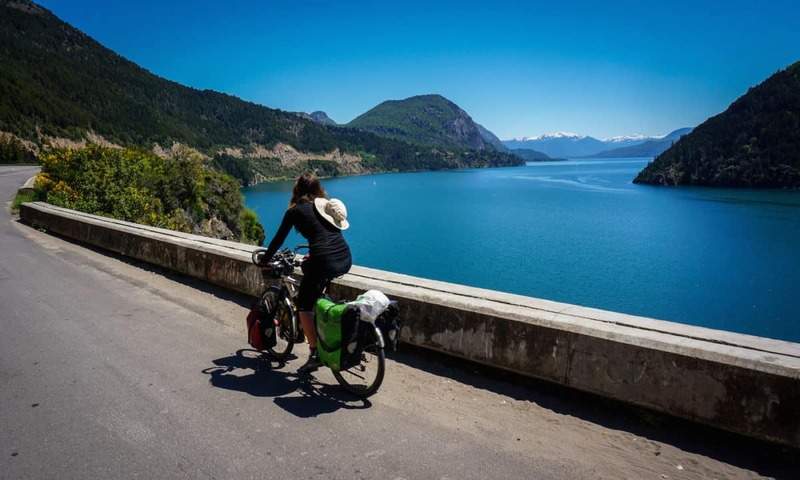 If you want to cycle both the Chilean and the Argentina sides, the easiest way is to do it is a loop starting and ending in Bariloche. It’s the biggest city in the area and has plenty of accommodation, restaurants, supermarkets and shops. It’s located 5km from the city centre near the lake shore. There’s a supermarket 1km away, hot showers, Wi-Fi and plenty of shade. 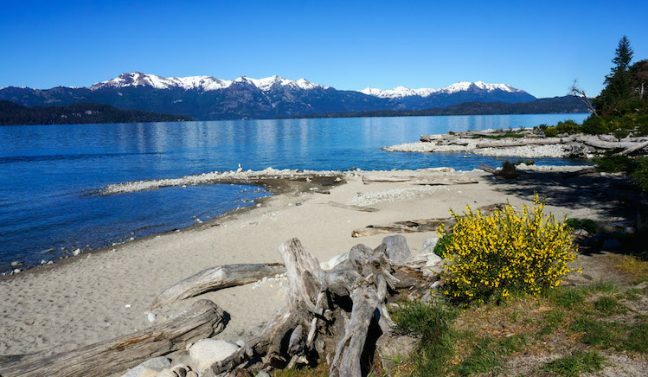 Hosteria Güemes is located at 5 minutes from the city center of Bariloche. The rooms are bright and clean, Wi-Fi is super fast and the friendly staff makes you feel like at home. Breakfast is served in the morning including fresh juice, bread, jam, pastries, tea and coffee. A good & affordable place to stay in Bariloche. Hostería Las Marianas is located in the centre of Bariloche in a nicely decorated Alpine style building. Rooms are clean and comfy, breakfast is buffet style and there’s a private park lot which is very convenient for bicycle tourers. A great place to relax close to the main attractions. If you are looking for a nice treat while in Bariloche, the Rochester Hotel is the way to go. They offer fully equipped apart-hotels, including a private jacuzzi, overlooking the Nahual Huapi lake. The main building has a heated pool, jacuzzi and gym area. Breakfast is served in your room every morning. The best place to relax after all the cycling! This charming town is probably the cutest of the whole route and our absolute favorite. We recommend you to stay here a couple of nights to enjoy it’s atmosphere, restaurants and lake views while resting your legs. One of the very few options if you’re travelling on a budget. The camping is located in a beautiful green area but it’s a 10 minutes bike ride from the center. There are 24h hot showers, electricity outlets and a common area. If you’re a group of several people, getting an apartment at La Bora is one of the best value options. The apartments are spacious, with garden, swimming pool, BBQ area, big kitchen and fast Wi-Fi. The best choice in San Martin if travelling in a couple or group. One of the nicest towns on the Chilean side of this route but also the most touristy one. This means the prices are higher than other towns but there are lots of services for the travellers. Wi-fi can be found just about everywhere! If you’re looking for a quiet, nice and peaceful place with lake views, check out the Apart Hotel Monte Verde. Choose from hotel rooms, private cabañas and fully equipped apartments. It has a cozy yet modern feel and the views can’t be beat. It’s 8kms from the city center. This beautiful lake is a great place to break your journey before climbing over the pass to get back to Argentina. There are several options to stay in Entre Lagos town, as well as on the shore of the lake. This one is our favourite one. A fantastic place to stay if you’re looking to connect with nature in a quiet and peaceful environment. Hostal Las Juntas is located 13km from Entre Lagos, on the lake shore, and it offers double rooms and cabañas for up to 6 people. A homemade gourmet breakfast is included. 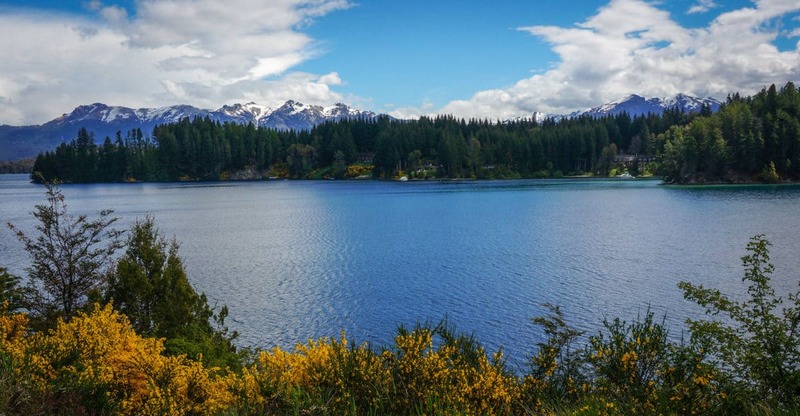 If you want to explore both sides of the Andes, it’s better to leave things in Bariloche and do a loop carrying only the essentials. 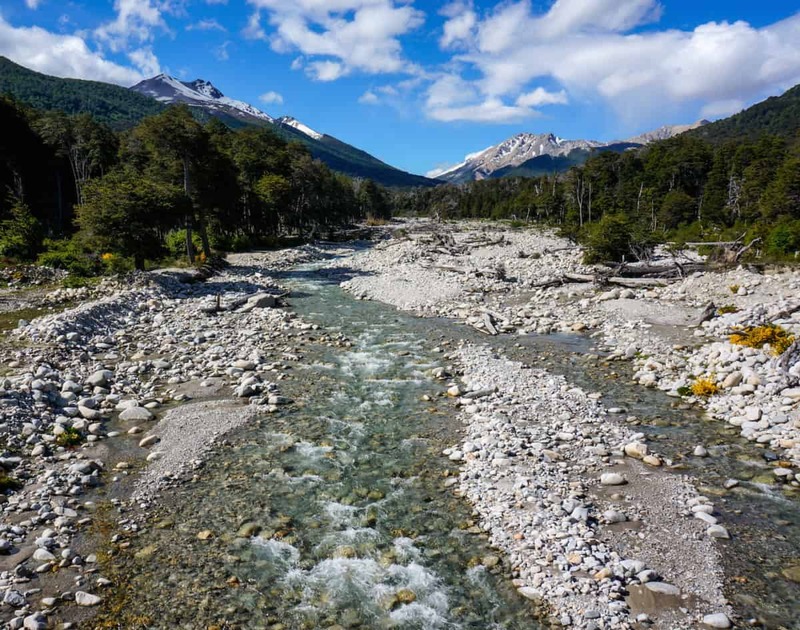 If you’re just passing by and have to choose one or the other, we recommend not to miss the stretch between Villa La Angostura and San Martín de los Andes in Argentina. The whole loop is roughly 850km and it takes between 10 days and 2 weeks to cycle. You’ll want sunny days to fully enjoy the ride. The summer months, between December and March, is when you have less probabilities of rain. 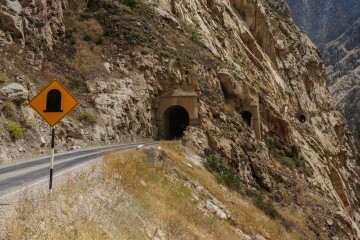 We did this route in early to mid November and had a mix of sunny and rainy days. There are no ATM’s or money exchangers between the border and Pucón, so plan accordingly if you don’t have Chilean pesos. Some campground might take Argentinean Pesos but don’t count on it. Also, you’re not allow to bring fresh fruits, veggies or meat into Chile either. + The Ruta de los 7 Lagos. The stretch between Villa La Angostura and San Martín de los Andes alone makes this route worthwhile. + Beautiful lakeside camping spots. – The weather is very unpredictable. Strong head winds and rain are always possible. Distance: 850 km / 528 mi. 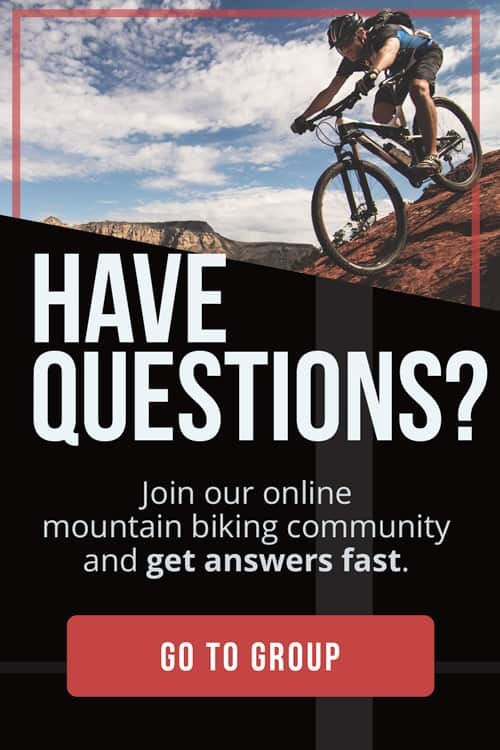 Days of cycling: 10 days – 2 weeks. 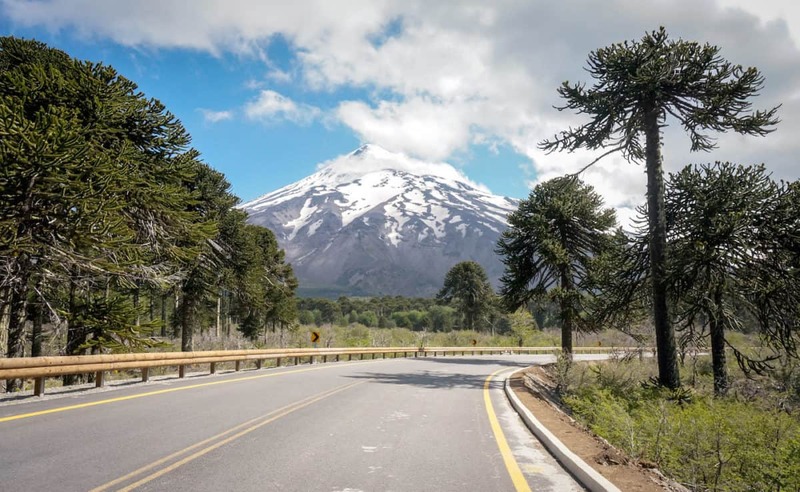 Road Conditions: All paved except 10 km near Lanin Volcano in the Argentinian side. Shoulder almost non-existent in Argentina, sometimes in Chile. Wind: North westerlies are the most predominant. You’re in Patagonia so be ready for “Patagonian type” winds, my friend. The Lake District of Patagonia reminded us of New Zealand. Gorgeous scenery, great camping spots and pure nature with little civilization. Every few days you arrive to a mountain village town with all the commodities you might need. 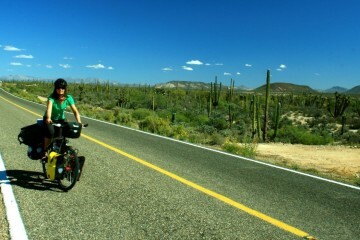 The cycling is simply very enjoyable here, it’s easy to see why it’s a popular area for bicycle tourers. The weather is very unpredictable. One day could be sunny and the next one is pouring down with rain, windy and cold. During the summer months the chances of having good weather are higher but remember you could get caught in bad weather at anytime. Price: You don’t need to pay any fees to cross the different National Parks. Only your food and accommodation costs. There are also no fees for border crossings. Useful Notes: You’re not allow to bring fresh products (such as fruits, vegetables and meats) into Chile.